On the centenary of the end of the First World War, a humanist representative will take part and speak at the Welsh National Service of Remembrance. This is the first time humanists have been given equal representation alongside religious groups at the ceremony. Lorraine Barrett, patron of Humanists UK, humanist celebrant, and former Member of the Welsh Assembly, will give a reading at the ceremony which takes place on the 11 November at the National War Memorial in Cardiff. 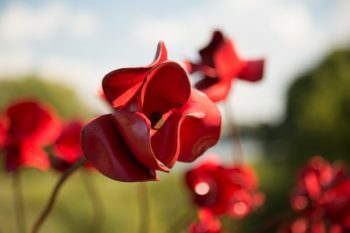 Humanists UK and its sections Defence Humanists and Wales Humanists have long called for humanists to be represented at remembrance services across the UK, including the National Service of Remembrance at the Cenotaph in London. Humanist representatives have participated in the National Remembrance Service of Northern Ireland since 2010 and have similarly long been represented alongside other religion and belief groups at the Scottish National Remembrance Service in Edinburgh; in 2017 giving a reflection alongside the Church of Scotland and an Islamic representative. For further comment or information contact Rachel Taggart-Ryan, Campaigns Officer at rachel@humanism.org.uk or 0207 324 3065.